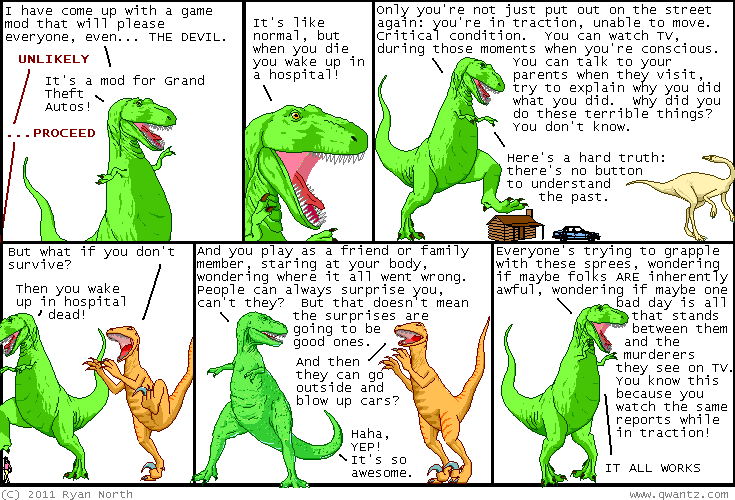 Dinosaur Comics - October 6th, 2011 - awesome fun times! October 6th, 2011: If you're looking down here for the comic, you're in the wrong place! It's up there! You need to scroll! More can be deduced from this forum post! Thanks for everyone who made these up and sent them in!